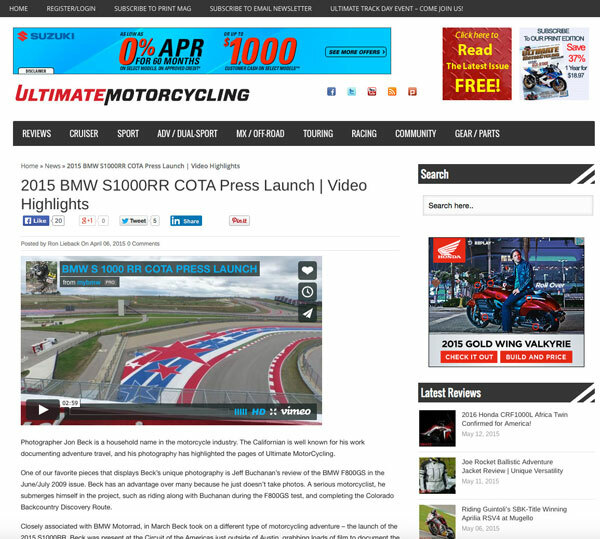 BMW Motorrad unveiled their 2015 S1000RR Superbike to the world in style at what is arguably the premiere motorsports venue in North America - The Circuit of the Americas in Austin, Texas. As the city filled up for SXSW, the invited journalists and guests were shuttled out of the fray to enjoy a private event at this massive facility. A three-minute edit of video I shot that day was recently released by BMW. 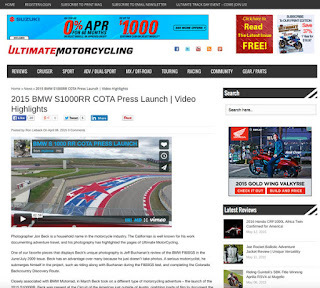 BMW S 1000 RR COTA PRESS LAUNCH from jonbeck on Vimeo.